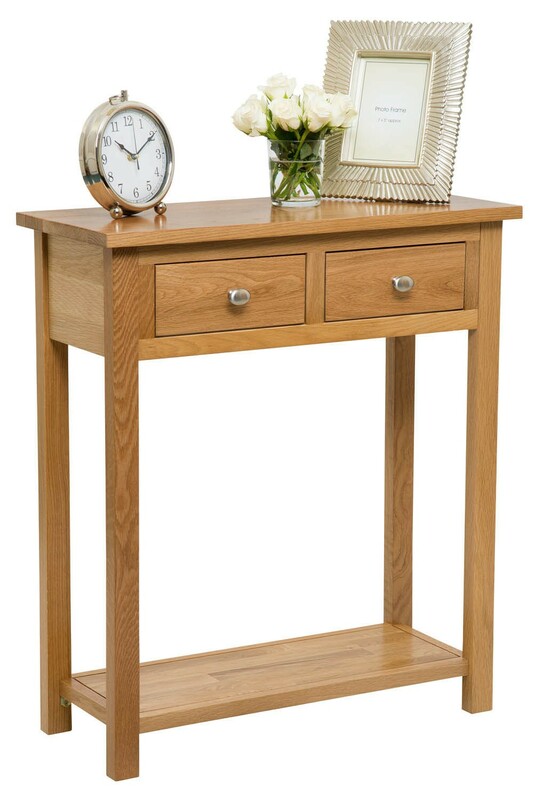 This oak console table is perfect for hallways, reception areas and lounges, where extra space is always handy, but bulky furniture is not always an option. 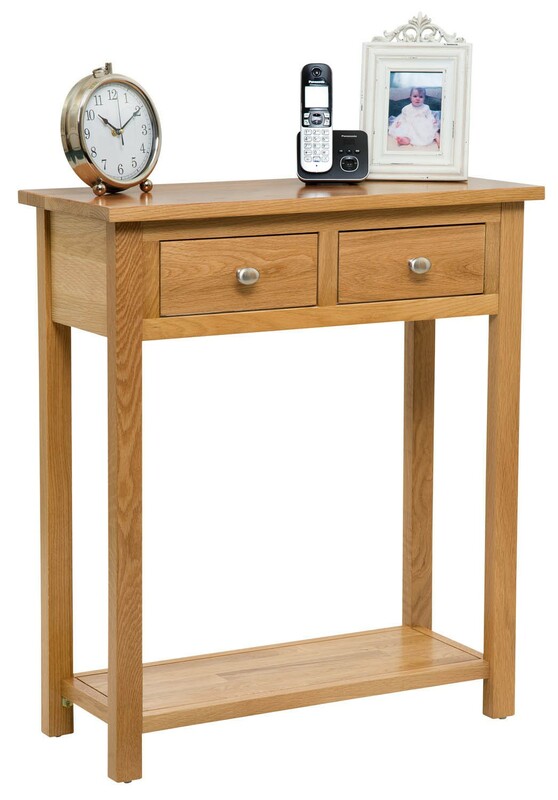 Designed with todays modern living in mind, this console table features a sturdy top surface, two drawers and a lower shelf, this piece can be used for a wide range of occasions and purposes, whilst complimenting most décor and themes. 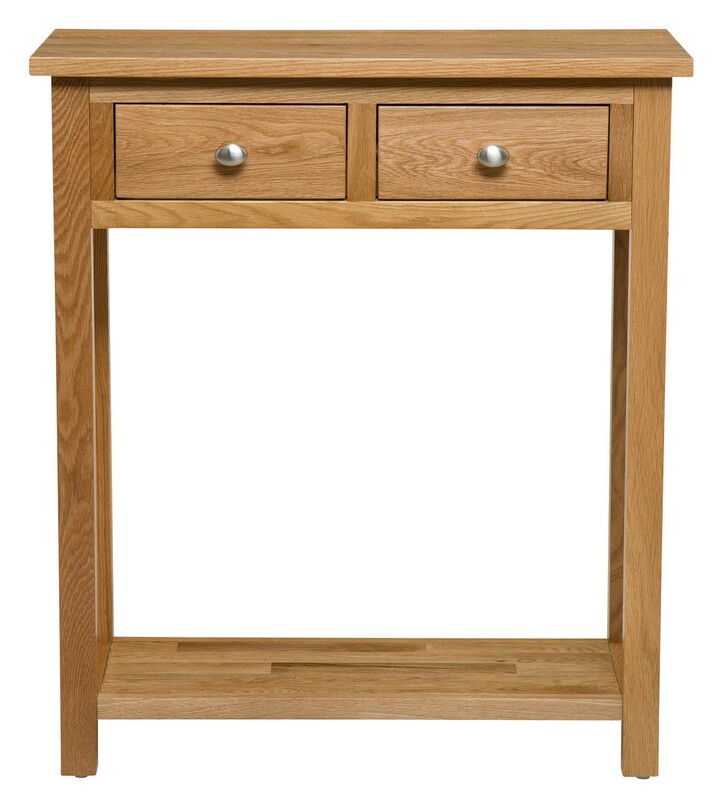 Crafted from oak and oak veneer, with a lacquered finish, the console displays the natural patterns and colours of light oak, whilst remaining protected from spills and light knocks, for a durable piece which will last for years. The sturdy lowers shelf adds a variety of storage options, as it is suitable for holding shoes, bags or small electronic items such as a printer or shredder. 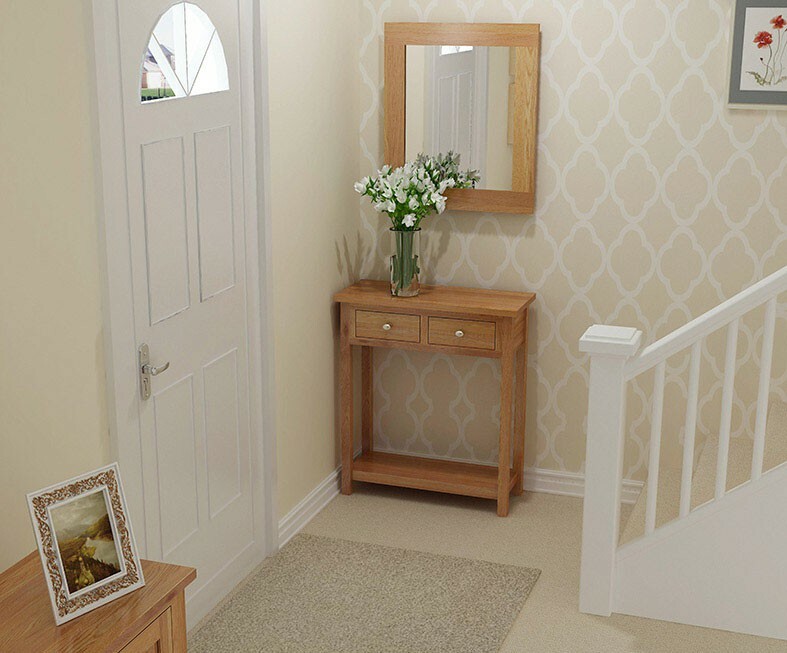 Alternatively, the lower shelf may be used for decorative purposes – showcasing plants or ornaments. Whilst the drawers offer more options for storing small items, such as personal belongings, address books, keys and handy notepads. 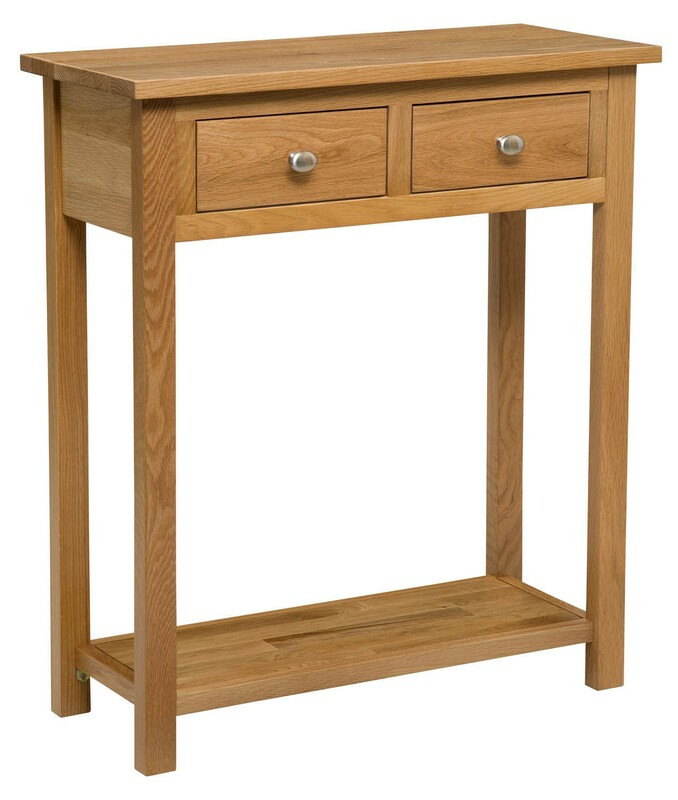 Features two drawers and two sturdy surfaces for a variety of storage options. 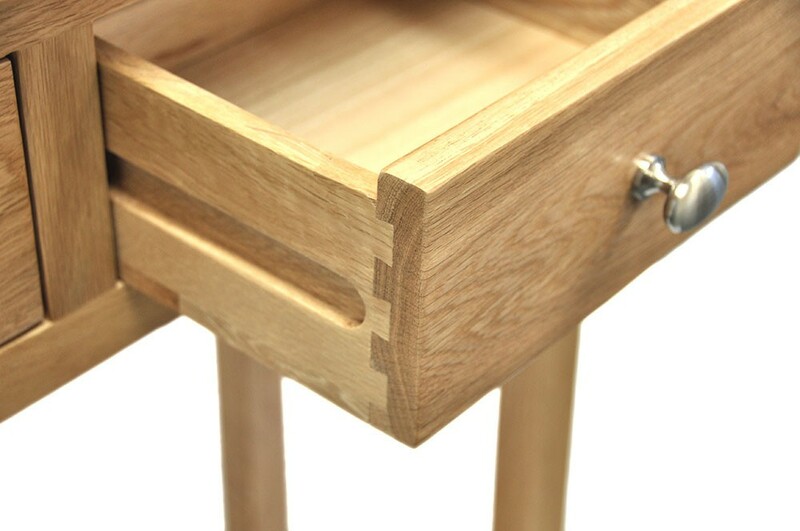 Has a sturdy lower shelf, suitable for storing shoes, accessories or small electronics. 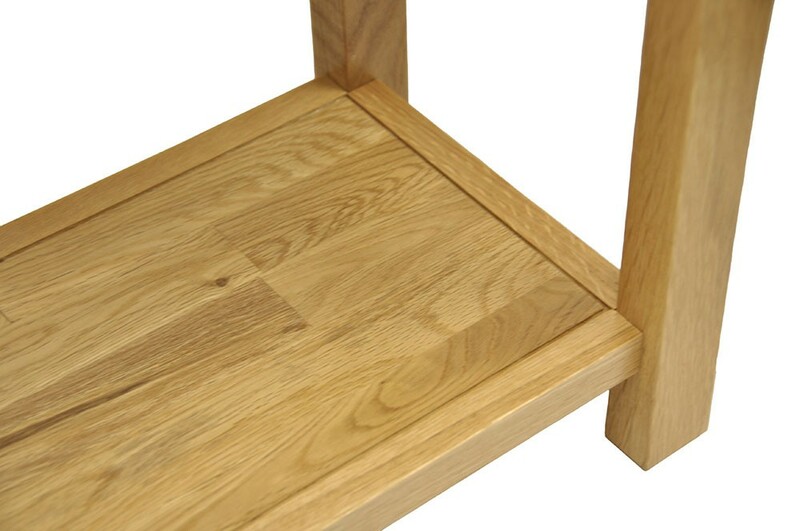 Protected by a lacquered coating, which also enhances the wood's natural patterns and colouring.